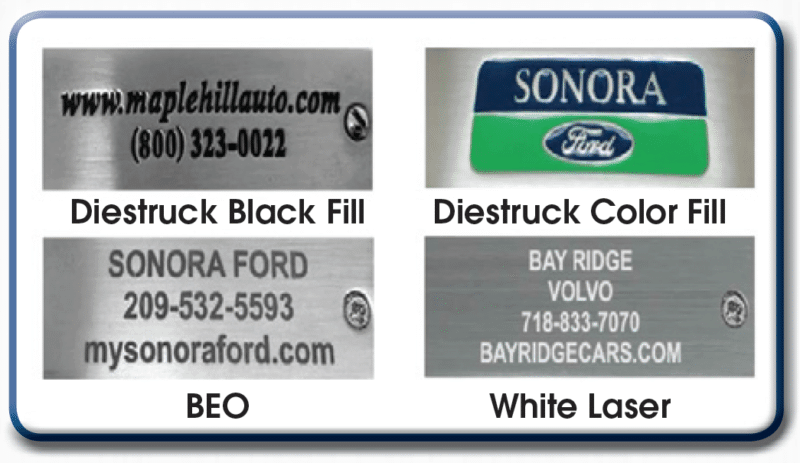 Here are some of the common metal marking methods to put your logo on the tag | Sharp Performance USA Inc. Details: At Sharp Performance, we specialize in promoting your brand and company details! White Laser A custom logo or text is laser engraved deep into the surface of the metal. This method looks great on shiny Nickel and shiny gold finishes.